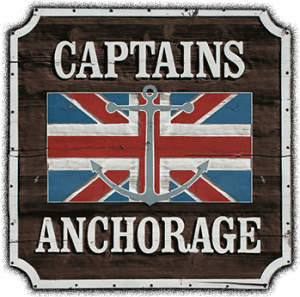 The Captain’s Anchorage is a landmark in Big Bear, adding special flavor to the local history, and to every dish served. When built in 1946, the restaurant was known as the Sportsman’s Tavern. In the ensuing sixty years, the establishment has weathered fires, gambling and an innocuous ghost. Many stories are told of the ghost’s antics. Most employees are not rattled by his rattling of pots and pans, nor his propensity for loudly tromping upstairs, but his habit of hiding silverware, glasses, and other common items is aggravating at times! Our Ghost’s name is George. The most mysterious aspect about George is the fact no one actually knows how he died. George is said to have committed suicide, but local lore notes that he was suspected of having embezzled quite a pocketful of cash before his mysterious death. George was an accountant for the Sportsman’s Tavern when it was owned by Andy Devine, famous for his role as “Jingles”in the Wild Bill Hickok” television series. Thank you Paranormal West for investigating the Captains last night! We can't wait to share all the evidence! Come in and see our veteran bartender Shawn and our new bartender Alex! Come up this weekend! It feels like Fall! Kim, Bruce, and Dylan came back for appetizers and dinner:) so good to see them!